A couple Sundays ago we celebrated our church’s 28th anniversary in standard Baptist fashion: with a potluck. Nobody does potlucks like Baptists. We know food. And our divers membership means that we get amazing Mexican, Italian, Cuban, Filipino, and mid-Eastern foods, among others. 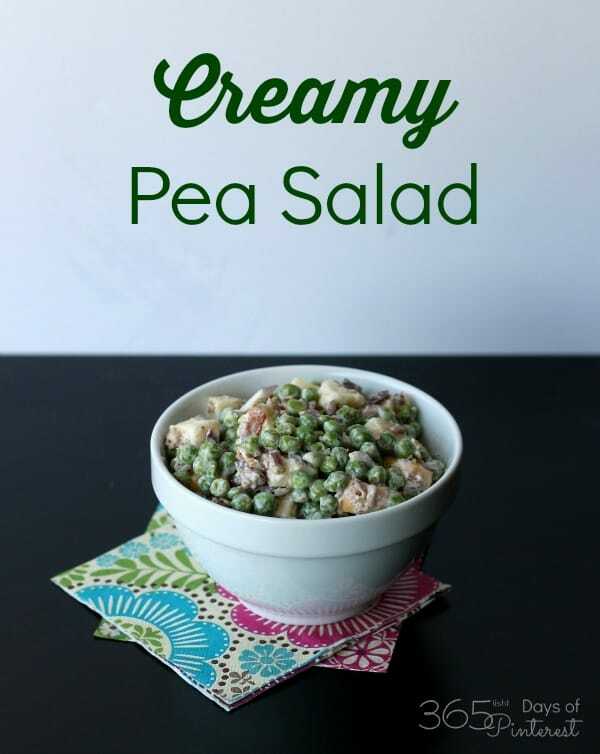 But this Creamy Pea Salad is a good old American standard. It’s cousin, the 7 layer salad is also popular, but I am NOT a fan of wilted lettuce salads or that much mayonnaise. I like to try something new (well, new to me) for special events like this, so I used a recipe I saw on Love Bakes Good Cakes with one tiny change and it turned out great! 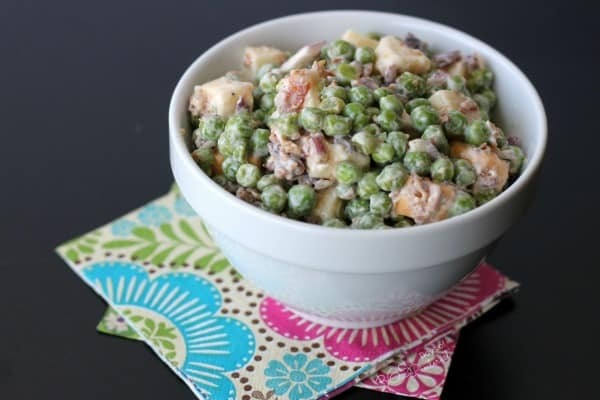 The salty bacon and creamy cheese go so well with the onion and sweet peas! 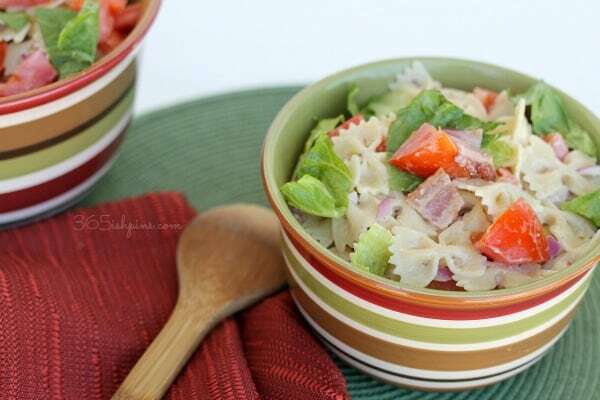 For such a simple recipe, it’s amazing how flavorful and delicious it is! I also think that packaged bacon bits are the way to go. It’s so much easier than getting your kitchen covered in bacon grease, and I got a bag of bits for $1.95 at Winco rather than spending $4 for a pound of bacon and still having to cook it. 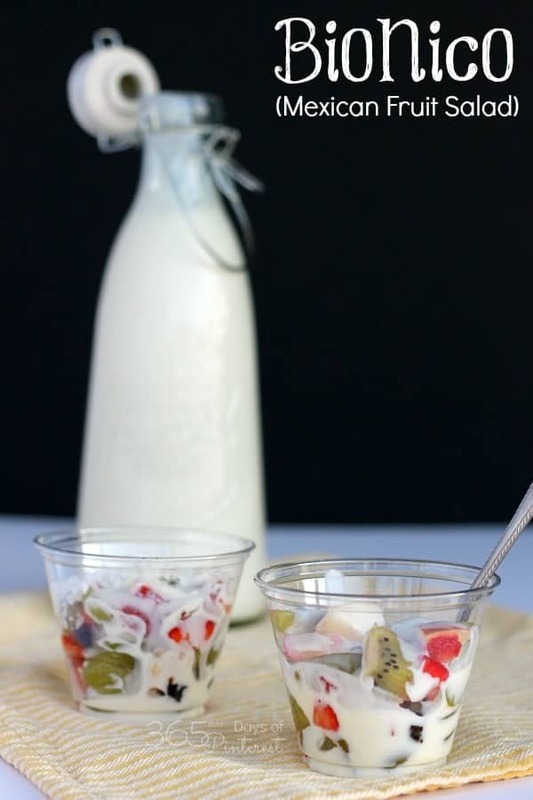 If you have a picnic or potluck coming up soon, you should bring this! Just don’t let it sit out in the hot sun because of the mayonnaise. Enjoy! 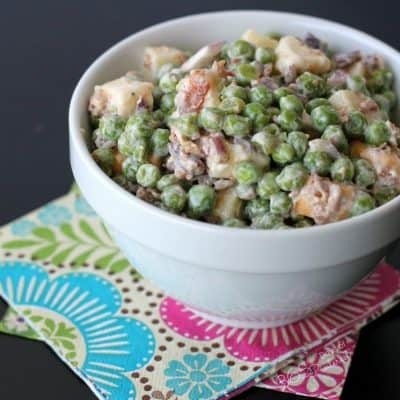 What’s your favorite side dish to bring to a potluck lunch or dinner? I have such a hard time coming up with sides. I could do desserts all day long, though. 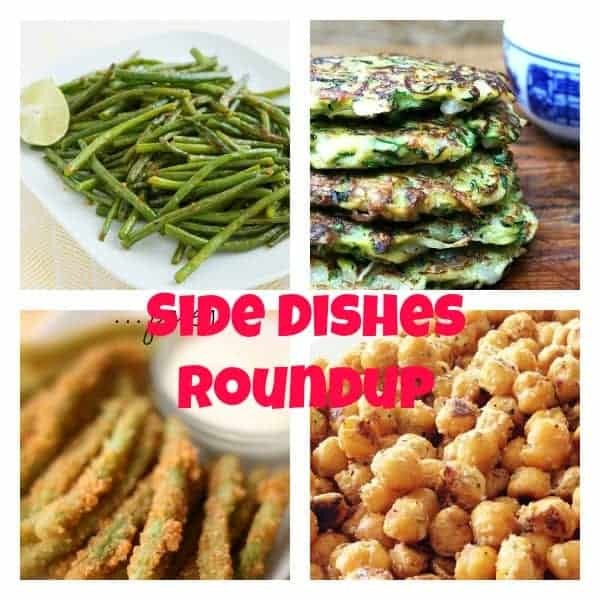 🙂 Check out my Side Dishes board on Pinterest for more inspiration! Follow 365(ish) Days of Pinterest’s board Food-Sides on Pinterest. It’s funny how the traditional pot luck offerings are the ones people like the most. 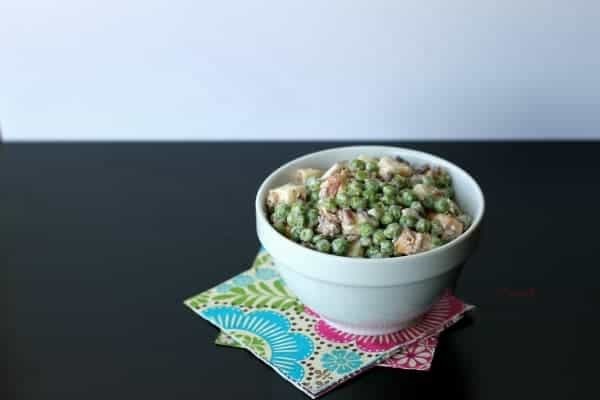 This pea salad looks yummy and I’ll bet it went quickly when you put it out on the buffet table. This looks delicious Nicole! Pinned and Shared! So reminds me of childhood YUM!